This review first appeared in the April 2010 issue of hi-end hifi magazine High Fidelity of Poland. 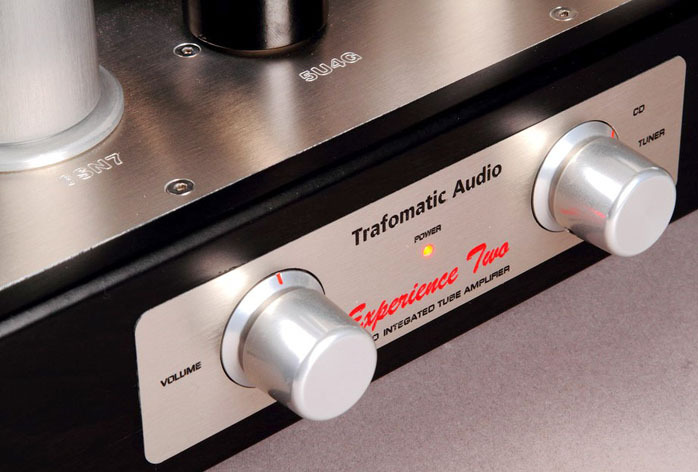 You can also read this review of the Trafomatic Audio Experience Two in its original Polish version. We publish its English translation in a mutual syndication arrangement with publisher Wojciech Pacula. As is customary for our own reviews, the writer's signature at review's end shows an e-mail address should you have questions or wish to send feedback. All images contained in this review are the property of High Fidelity or Trafomatic Audio. - Ed. Trafomatic Audio founded in 1997 by Sasa Cokic is a company housed in the Serbian city of Mladenovac. First it was a company manufacturing high-quality toroidal transformers, hence the name Trafomatic. 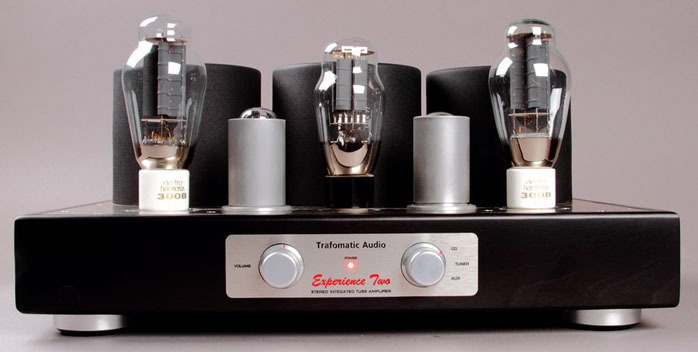 Then tube electronics were added and once their development accelerated, Sasa signed an agreement with the Austrian loudspeaker manufacturer WLM for whom he now manufactures a complete line of valve electronics. Trafomatic further profited from this partnership by applying new chassis for their own models. The Experience Two model is part of a larger family called Experience and is a beautiful yet small integrated amplifier based on the cultist 300B power triodes. Those work in a classic SET circuit with a single output tube per channel to make low power. Trafomatic quotes the usual 8 watts in its data sheets. 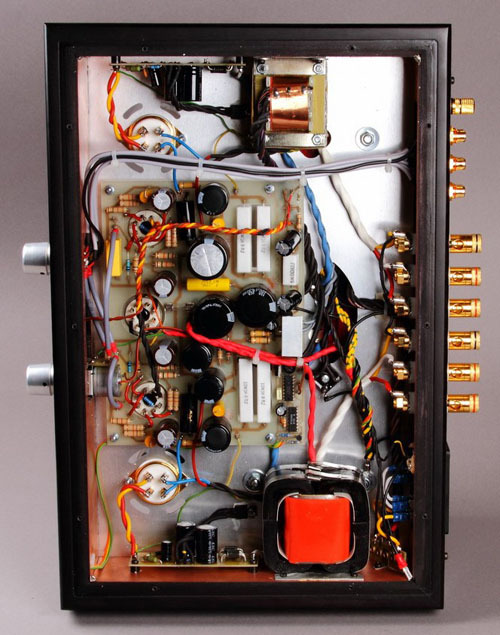 Because I had previous experience with the—to me iconic—Reimyo PAT-777 amplifier, I knew more or less what to expect. 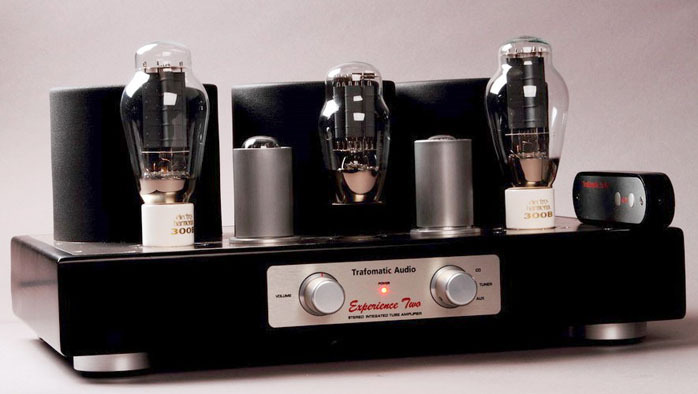 Similar to the Japanese amp, the Experience Two runs a single rectifier tube. The power transformer is toroidal and wound by the company itself as are the output transformers. Exactly as with the Polish company Ancient Audio, those are double C-core types. And there are more tubes in the signal path, two 6SN7 octal twin triodes sheathed inside removable aluminum chimneys to provide shielding, something completely effective and commonly used in vintage tube gear. 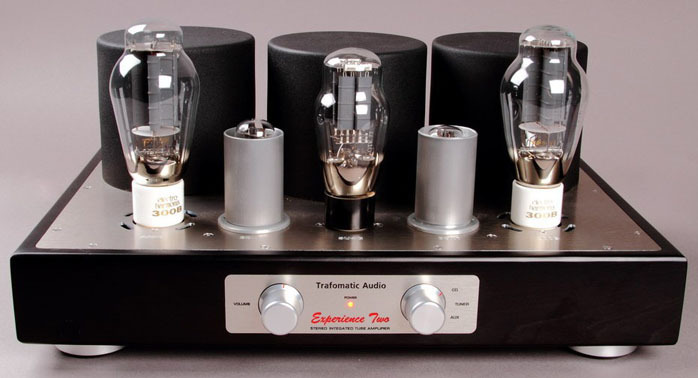 Initially Trafomatic outfitted their amplifiers with inexpensive but good valves from JJ Electronic. Because JJ's quality has lately diminished quite significantly, Trafomatic changed to 300Bs by Electro-Harmonix, 6SN7GTs from Sovtek and an NOS 5U4G which bears no markings except for a number assigned to factories manufacturing military equipment during CCCP times. The Polish distributor additionally supplied me with the mesh and carbon Sophia Electric Princess 300B/n and 300B/c. The changes with them were substantial. 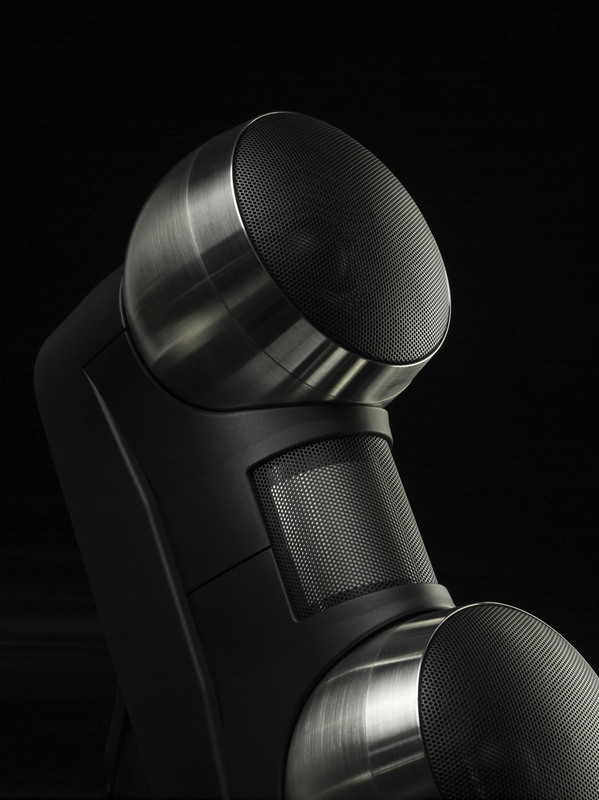 I provide an analysis of them in a separate article describing my latest discovery, the mesh carbon-covered tubes from Chinese Create Audio, which also offers small amplifiers and gold-plated fuses under the Synergy Hi-Fi brand. Their tubes in the 300B Golden Jazz Series made by Shuguang are plainly incredible! In this amplifier, the best tubes after the Create Audio 300Bs were the carbon Sophias (really great tubes) but the EHs weren’t much inferior and I could hear that they were probably used to voice the amp. That’s why we get a mature sound right out of the box without need to replace the 300B tubes right away. The amplifier is available in the basic trim shown or with gold metal accents on a shiny gloss black enclosure. There’s an optional remote control. For the test I received the basic version with remote. The amplifier arrived with the €225 Experience Cable power cable which I used. It seems that power delivery quality is important because the Trafomatic amp is quite sensitive to it. Evening listening sessions when the companies utilizing computers close shop were much more satisfactory than during the day. This is not merely an issue of background noise but AC power quality in general. Trafomatic also offers their own line conditioner based on isolation transformers which I should try. Finally, the amp needs about half an hour to come on song. Sound: The following discs were used for testing - Diorama, A Different Life, Accesion Records, A 102, CD; Eva Cassidy, Imagine, Blix Street, G2-10075, CD; Gerry Mulligan, Night Lights, Philips/Rainbow CD, PHCE-3064, CD; Jack Johnson, Sleep Through The Static, Brushfire Records, 56055, CD; King Crimson, In The Court Of The Crimson King, Universal Music Japan, UICE-9051, HDCD; Kraftwerk, Autobahn, Capital Records/KlingKlang/Mute Records, STUMM 303, 180g LP (2009); Kraftwerk, Tour The France Soundtracks, EMI Records, 591 708 1, 2 x 180g LP; Lisa Garrard, The Silver Tree, 4AD/Sonic Records, SON212, CD; Tingwall Trio, Vattensaga, Skip Records, SKP 9087-2, CD; Tommy Dorsey, A Portrait of Tommy Dorsey, Music Collection International, Gale 404, 2 x CD; Wynton Kelly, Piano, Riverside/Universal Music Japan, UCCO-9273, CD. The Merriam-Webster Online Dictionary defines magic as "the use of means—as charms or spells—believed to have supernatural power over natural forces". This is quite unequivocal. And, some parts thereof became embedded in the language we use for describing sound. But there is an even better description: "Magic of a person or place is the synonym of its charm and mysteriousness, influencing us with incredible force." Yes! That’s it. When I listened to the first section of discs set aside for this review, I felt exactly that way – influenced by magic working on me with incredible force. I had met a device that wasn’t merely good but which I liked - not necessarily the same thing. On one hand this was good. I broadened my horizons, learned and gained experience. On the other hand I feel some discomfort in such situations. Magic belongs to an ill-defined category that eludes the scientific approach which I want as basis for all my reviews. A test and listening session is nothing but experiential research. It should remain as far divorced from emotion as possible. But that’s really wishful thinking, of a structuralism buried long ago. Yet one has to avoid the second extreme of pronounced subjectivism that states "it is so because I say so". While one assumes some measure of freedom of self expression, the rest is error and ignorance. That's why with all the shortcomings of the human gauge, I try to find in myself the balance between subjective and objective, between what's mine and what's external. I thus questioned the nature of this magic. What caused it? What might it hide? 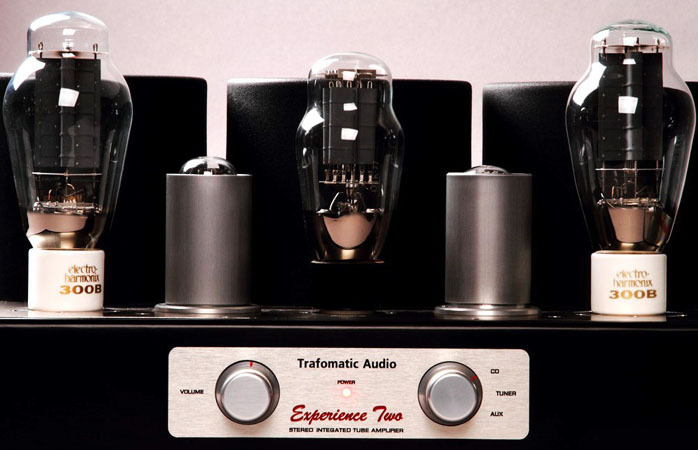 Many audiophiles treat the 300B as an almost mythical entity. But when we judge good implementations like the Reimyo PAT-777, Ancient Audio Silver Grand Mono, Art Audio Jota Sentry or even the inexpensive Polish JAG 300B, it's easy to understand what this kind of sound is about, why it stimulates emotions and how it enchants us. We will talk about the magic in a moment. For now I want to concentrate on the music itself. 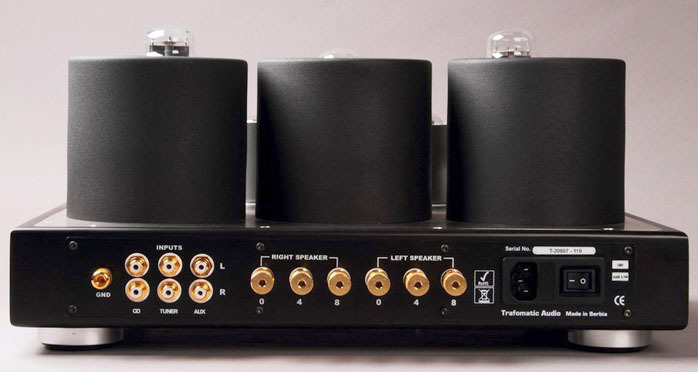 The tonality of this amplifier is very even. It seems that part of the upper treble is softened and warmed up as is the lower bass but neither is objectionable and resembles what I also heard with the brilliant Reimyo and Art Audio. This was done on purpose. It’s not the characteristic of the tube itself but might be a contribution of the 6SN7 drivers. Regardless, it can be heard as part—and in the service—of a greater context. That context is an emotional sound based on an incredibly clean and vivid midrange. The transfer of energy over quite a broad spectrum is very good. There is no mud, fog or compression. This is important because here we after all deal with only 8 watts. These are ‘special’ watts, incredibly clean, much louder and far more dynamic than a few dozen less coherent watts. Coherence in fact is one of the key terms we could use to describe the core of this sound. This was shown beautifully by the first disc, a compilation of Tommy Dorsey with pieces recorded between 1935-1941. Those of course are technically very weak cuts and in addition, this particular issue is decidedly non-audiophile. Yet on a good stereo, there is a power in it that gives one great pleasure and even causes affection - like recordings of the young Frank Sinatra. Reduced frequency response, flattened dynamics and more are all present on this compilation and the Trafomatic did not mask a thing. The resolution wasn’t quite as keen as over the Reimyo or Ancient Audio machines because instrumental groups had less defined body and less differentiation within the limits of a mono recording. Still, resolution was very good and in fact much better that almost all transistor amplifiers I’ve heard. I had a similar response to Lisa Garrard’s The Silver Tree. For a long time I thought it a badly recorded disc that was muffled and did not appeal to me. Only twice before—with the amplifiers mentioned earlier—did it sound different. And now for the first time it was enchanting. While Lisa’s voice was recorded in a dark warm fashion, I could finally appreciate that it had been on purpose and as part of a bigger plan. The music from this disc has wonderful swing and depth and builds up its tension slowly. Hence the lack of illumination. It would call attention away from the long-arced development process. Despite what I just said about resolution which I stand by, the Experience Two played this disc brilliantly. 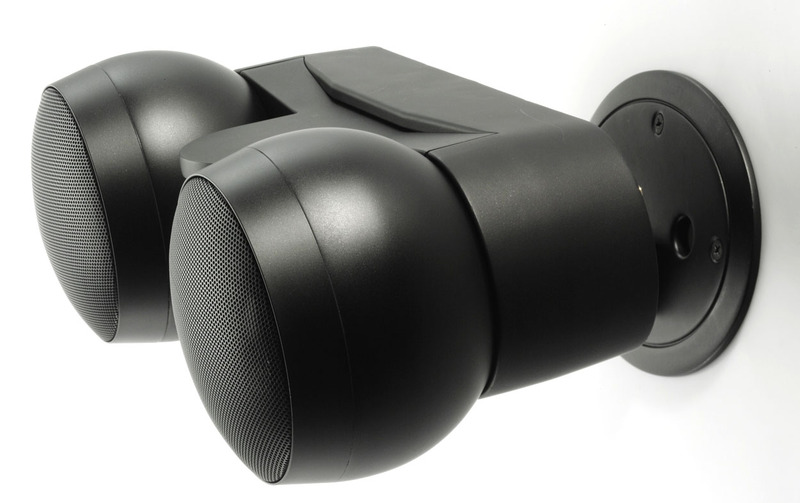 Part of the success had to be attributed to the perfect, beautifully coherent soundstage. In "Shadow Hunter", the venue seems far away and slightly elevated to conjure up a vast open space as though somebody had erased the wall facing us. This demonstrated how well the amplifier kept proper phase relationships intact - or at least incurred only very small phase shifts.